Every consultation, in every country which has considered regulating online gaming, includes a major focus on the problem of money laundering. 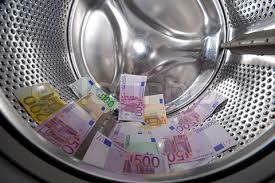 The opponents of online poker use money laundering as a bulwark of their arguments. Until recently, the politicians and poker regulators seem to have taken such arguments at face value, however, recent events show that the tide is turning, and online poker may not pose the risk that its opponents suggest. Mid March saw an extraordinary meeting take place in Brussels to discuss the regulation of online poker. The “workshop” was attended by national regulators, social science researchers, and industry representatives together with members of the European Parliament and Eurocrats from the European Commission. A detailed report of the meeting was published by gaminglaw.eu. The meeting was billed as “Online Poker – Need for European Safety Standards?” In his opening address, meeting organizer Jürgen Creutzmann – MEP and key committee member for gaming regulation – suggested that the particular regulatory requirements of poker had been addressed only superficially. He pointed directly to the money laundering risks of online poker as an area that had been neglected. Dr. Friedrich Schneider, an expert in the shadow economy, and Professor of Economics at Johannes-Kepler-Universität in Linz summarized the results of his extensive research into the prevalence of money laundering in unlicensed gambling sites. In short, he opined: “Money laundering via online poker is not worthwhile.” He points out that even if all the money used for online poker was devoted to money laundering, its total volume would still be so small relative to other economic areas that it would not be attractive to criminals. Detlev Henze, CEO of TÜV Trust IT GmbH was critical of the arguments made by online poker’s opponents that money laundering is a problem. His organization has already carried out a detailed and influential study of German gambling looking at “the potential risk of addiction of online poker in its most popular variant No Limit Texas Hold’em.” That study has also produced a risk based matrix for assessing the effectiveness of poker sites’ problem gambling policies. Mr Stiel added that almost all poker deposits and withdrawals are made through licensed banks who have already subjected the funds to strict anti-money laundering checks. Although it is possible to deposit with pre-paid cards, he explained that such cards have very low limits, typically a maximum of €100 to €150. Jürgen Creutzmann followed up on these presentations by proposing that, online gaming regulations to combat money laundering should follow a risk based approach. The fourth EU Anti-Money Laundering Directive (AMLD) was published by the EU Commission in January and adopts just such a risk based philosophy. The main author of that report is British MEP, Ashley Fox. In EU bureaucratese, he is the “Rapporteur” for this issue, which means that he presents the committee’s report to the EU Parliament and does most of the legwork involved in getting it published. Mr Fox has a political interest in the issue of online gaming as he represents the South West England & Gibraltar constituency. Even so, his committee is extremely influential and will play a role in shaping the future EU wide regulatory framework envisioned in the current EU Action Plan for Online Gaming. Slowly but surely, online poker is ridding itself of the reputation that it provides a safe harbor for drug money and terrorist finance.